Join us for Brandon's longest running St. Puppy's Day! 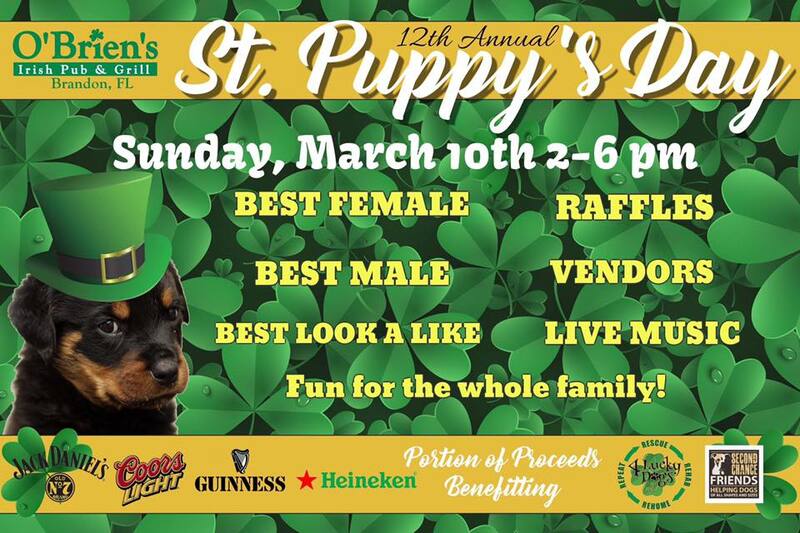 It's O’Brien’s 12th year hosting this fun filled family event and fundraiser that supports our veterinary fund! We will have so much fun showcasing our adoptable dogs! You might meet your new family member and a portion of the proceeds will benefit Second Chance Friends! Featuring, Victoria Parker from Bayshore Dog Training. Victoria will be hosting a Q&A, give demonstrations & tips.